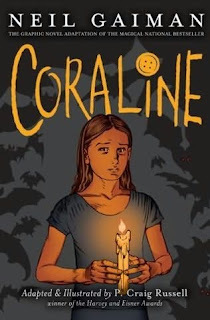 In "Coraline" he writes about a little girl discovering some kind of parallel universe - intense, scary, exciting. A novel for all ages, even if it might be too dark for younger children. 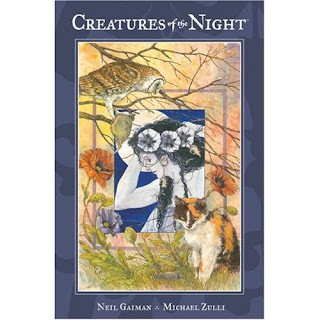 The book "Creatures of the Night" contains two stories about animals and scary incidents. The first one is about a mysterious black cat, the second one about a foundling girl and an owl. 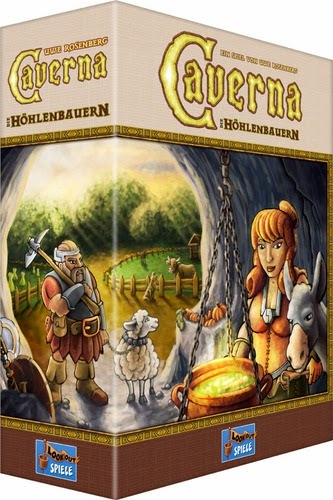 I liked the stories - but I loved the artwork (done by Michael Zulli). From the New York Times best-selling author Neil Gaiman comes this fine collection, featuring two magical and disturbing stories lushly adapted to comics by veteran painter Michael Zulli (The Last Temptation). Newly rewritten by Gaiman for this graphic novel, these two ominous stories from the author’s award-winning prose, Smoke and Mirrors: Short Fictions and Illusions, feature animals and people not being quite what they seem. In The Price, a black cat like a small panther arrives at a country home and is soon beset by mysterious and vicious wounds. What is he fighting every night that could do this, and why does he persist? The Daughter of Owls recounts an eerie old tale of a foundling girl who was left with an owl pellet as a newborn on the steps of the Dymton Church. She was soon cloistered away in a local convent, but by her fourteenth year word of her beauty had spread—and those who would prey upon her faced unforeseen consequences.